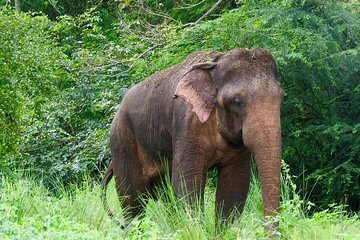 Spend a full day exploring two of Sri Lanka’s national parks: Sigiriya and Minneriya on a private tour from Colombo. Immerse yourself in the country’s history and culture as you climb to the top of the mural-covered Sigirya rock fortress, dating back to the 5th century. Enjoy lunch with your small group in a restaurant and then embark on a jeep safari of Minneriya National park where you will see herds of Asian elephants.